Harmony Delegation Chorus | World class performances, sustained by men with a passion for singing! Harmony Delegation barbershop chorus is proud to perform on Monday evening May 20 for friends, family and veteran participants embarking on their Honor Flight from Des Moines on Tuesday May 21. Please check back for more details as they become available. Thank You - 2019 Sponsors! We are so thankful to our 2019 sponsors for making it possible for us to bring our music to you! 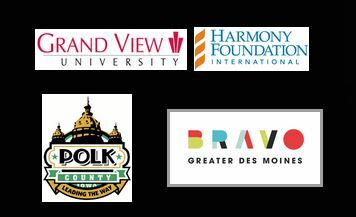 Read more about Thank You - 2019 Sponsors! The Pride of Iowa Barbershop Chorus has changed its name to Harmony Delegation. Our mission is to bring people together as a delegation to enrich lives through singing in harmony and fellowship. Under the leadership of our Music Director, Brenton Brown, we are thrilled to begin a new chapter in the life of our chorus. We welcome and encourage people of all ages to sing with us, to inspire one another, to nurture meaningful friendships, and to give exceptional musical performances. When people sing together it improves their physical and emotional health. It builds healthier communities and helps young people become healthier adults. It forges intergenerational bonds and reduces barriers across diverse groups and cultures. It helps build healthy self-identity, and helps people facing significant challenges address those challenges. If more people singing together is good, then more people singng together would be even better. For more information, please click on the "Visit Us".